Step Tempest: Summertime and the Music is Smoking! Week # 2 for the 2014 UMOJA Music Series in Hartford features the energetic rhythm master Ralph Peterson Jr & The Unity Project Friday 6/27 at 6 p.m. in the Pumphouse Gallery, 60 Elm Street in Hartford. This is the first of several appearances this summer for the drummer/composer/arranger and this band will not disappoint. Joining him will be Hartford-area native Josh Evans (trumpet), Myron Walden (tenor saxophone, also appearing twice next week at The Side Door - more about that subsequently) and Pat Bianchi (Hammond B-3 organ). This is a group that blends the fire of hard-bop with the blues-drenched soul of jazz-funk; in other words, they "bring it and bring it good!" Opening the show will be the Jovan Alexandre Group, led by the fine young tenor saxophonist originally from Wallingford, CT. The concert is free and open to the public. In case of rain, the show moves indoors to Greater Hartford Academy of the Arts Recital Hall, 15 Vernon Street. For more information, go to umojamusic.com. The Side Door Jazz Club in Old Lyme has 2 excellent shows this weekend. On Friday night, the Door opens to the David Kikoski Trio. Pianist Kikoski (whose credits could take up the rest of this post but includes the Mingus Big Band plus a score of strong recordings as a leader) brings the dynamic rhythm section of Ed Howard (bass) and Adam Cruz (drums). Kikoski displays his knowledge of the history of jazz every time he sits at the piano and is a fearless improviser. Doors open at 7:30 for the 8:30 first set. On Saturday, the fine tenor saxophonist Jimmy Greene brings his Quartet to the Old Lyme venue. The Bloomfield, CT, native, currently on the Music faculty of Western Connecticut State University, has a big, flu, sound that can rattle the doors yet has a gentle side that can caress a ballad as sweetly as any musician (on any instrument.) Not sure who's in the group but this evening promises to be one the avid listener is sure to enjoy. For more information, go to thesidedoorjazz.com or call 860-434-0886. Do it now, tickets are moving quickly! I trust you are keeping up with Jason Crane & The Jazz Session - it's so easy to do as the links for the 3 most recent shows are to the right of this (and every) post near the top. Our recent weekend away from home gave me the opportunity to catch up and I do recommend you listen. There are few interviewers as knowledgable or curious about the music and musicians he presents on every program - Mr. Crane keeps you in touch with both established artists as well as ones you may have yet to discover. Give The Jazz Session a whirl - you'll be glad you did! Go to thejazzsession.com. 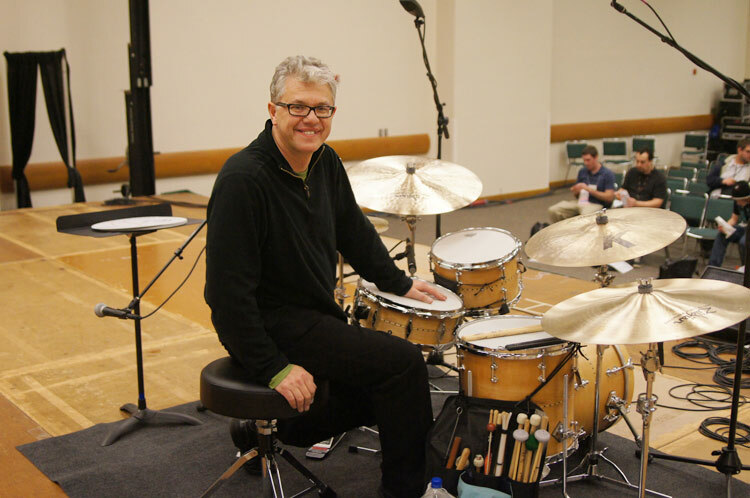 Take a moment and give a thought to drummer/composer Matt Wilson, whose wife Felicia passed away earlier this month. Mr. Wilson, who has brought so much joy and music to people of all ages around the world, is one of the true gentlemen in the world, always willing to teach or give an intrusive reviewer/writer an in-depth interview. Life is fragile, even in the best of times. Music can be a vehicle that removes one from the strife and insanity of daily existence and/or a reminder how we need to, as a caring community, continue to work on creating a just society for all. Our thoughts and prayers go to Matt Wilson and his children.